Robotics is surely progressing exponentially; from robots that could just move around, today we have plethora of robots capable of doing a myriad of tasks. 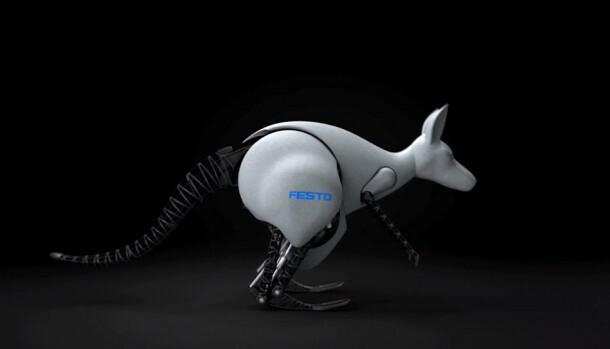 For those of you who are into robotics, the name Festo won’t sound new. For those of you who don’t know, this is the company that owns a bionic zoo, so to speak! The zoo includes a number of robotic animals and the recent feat that has been pulled off by this company is a Bionic Kangaroo, which is capable of storing energy during the landing phase of jump and then makes use of this stored energy in the subsequent jumps. Why is it such a big deal? Because this concept can be used to come up with more energy efficient machines in future. 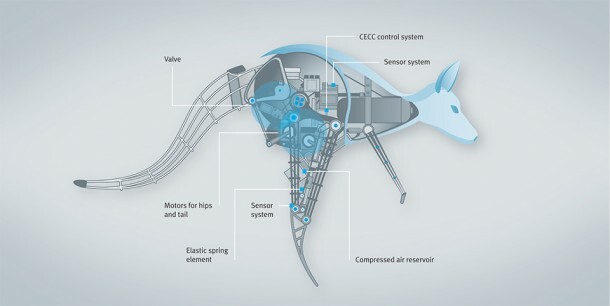 Let’s dive into the mechanics behind Bionic Kangaroo and see how it works; the robot comes equipped with actuators which are pneumatic in nature and provide the robot the necessary jumping power while also working as a shock absorber when the kangaroo lands. The required air, is provided by a compressor or alternatively, from a high pressure storage device on board. Balancing and accurately positioning the robot (hip movements and tail joints) is done via electric motors. 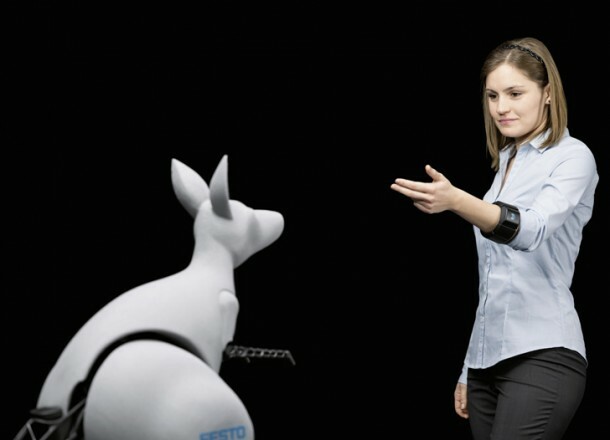 Rechargeable lithium polymer batteries are the source for all the electrical components present within Bionic Kangaroo. 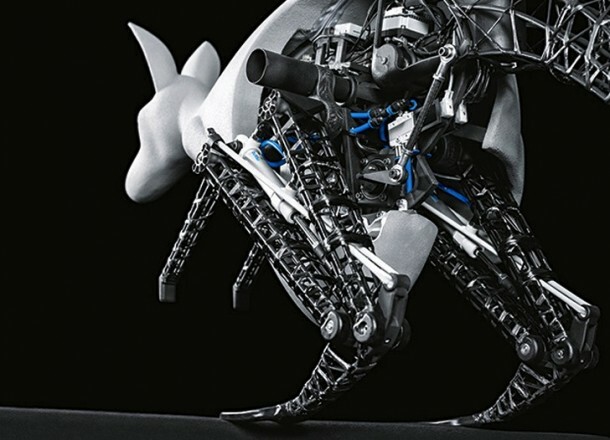 The Bionic Kangaroo weighs about 15 pounds and comes with stable, yet powerful mechanical jumping capability, which is constantly monitored by a control system that has been embedded into the robot. The robot is capable of jumping 0.8 meters horizontally and about 0.4 meters vertically while relying on an elastic spring which is made of rubber. This artificial tendon works to provide a buffer to the jump and absorbs the kinetic energy when the Bionic Kangaroo lands. Just before the first jump takes place, the tendon is tensed pneumatically and the robot tilts when the centre of gravity is being shifted. After achieving the required tilt angle, the kangaroo’s tendon is released and it jumps up. Until the landing happens, a number of things are happening; the robot’s legs are thrust forward, the tail is lifted and the control system ensures that the robot’s jump is optimized. But all that is just a fraction of sheer awesomeness; the real stuff happens when the Bionic Kangaroo makes its landing. The kinetic energy is converted into potential energy that can be stored and is then used for the next jump. By employing the use of this potential energy in subsequent jumps, the Bionic Kangaroo is capable of executing a number of consecutive jumps without expending enough energy.